How I love how you brighten my living room! We've had quite a rainy stretch last week, just when I was cleaning my whole flat and saying hello back to pretty decor. On a particularly gloomy rainy day I suddenly decided to hang my blue curtains back in the living room and do a new tassel make over. I did have a very cute black and white tassels look going on last January. But, then a few weeks later, the ceiling came crashing down in my living room. This led to me having to take down the curtains when the workers came to fix the ceiling, and after washing them I never bothered putting them back up. After all, Summer was pointing it's ugly head and the prospect of living behind shut balcony doors was already daunting enough without having curtains block out the already reduced natural light. Fast forward to presents days, and I felt ready to have a little decorative oomph back on my balcony door frame. 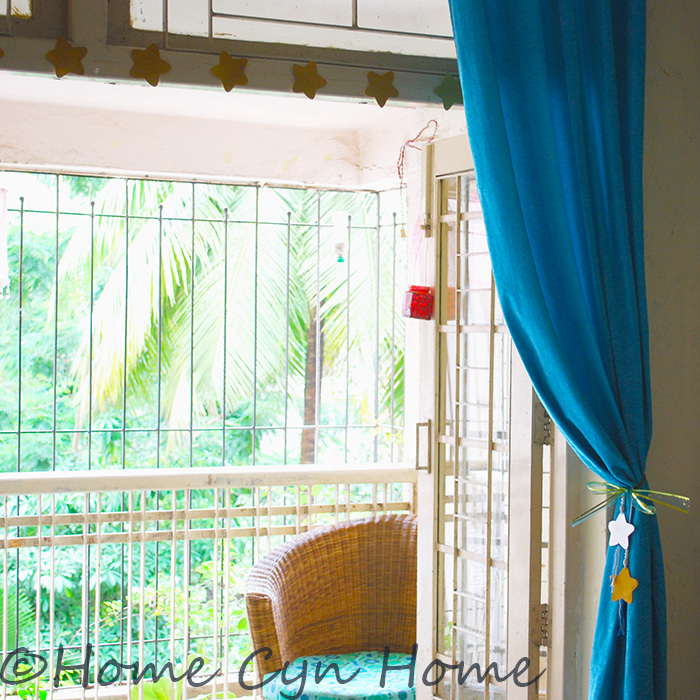 And because the rain was still quite depressing, I felt the need to have a few bright stars on my curtains. I had to wait a bit longer for the rain to leave us alone (if only just momentarily) to be able to take decent enough pictures of my forever dark, north facing living room (and still photoshop it heavily). The project is a simple one, what you really need for it is some card stock paper (any colour will do, you can still paint it), some paint, and a few glass beads. 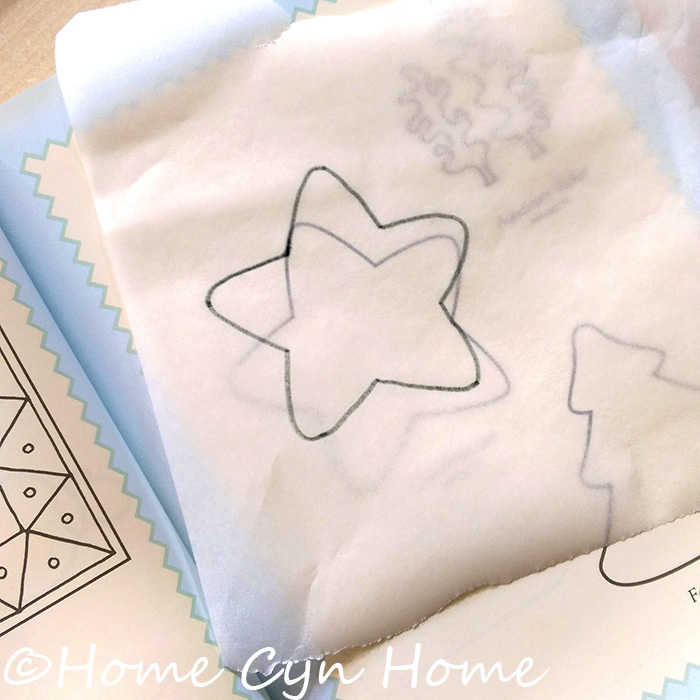 The first step is to make a template for your star using lining paper (or baking parchment since I didn't have anything else on hand). 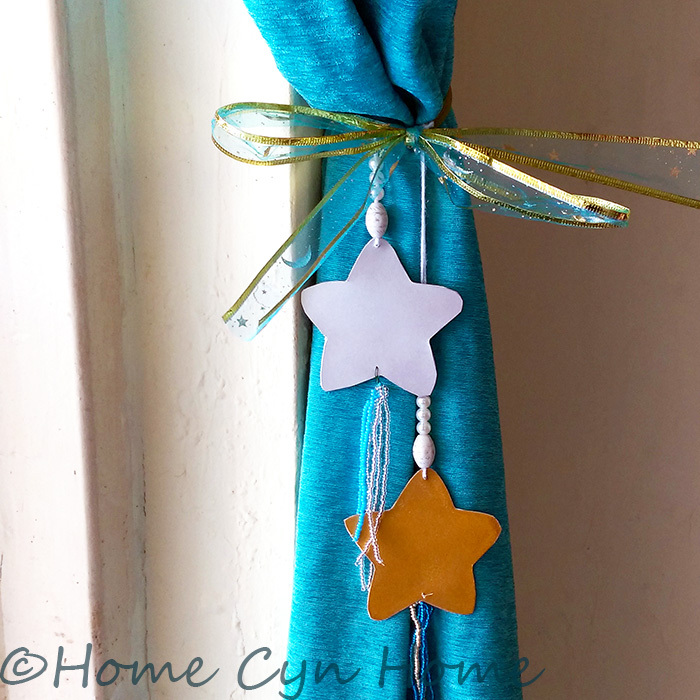 I got this star from a book called "The Big Book of Weekend Crafts: Over 90 Step-by-step Projects" Which is a great book filled with paper, mosaic, candle making and glass painting ideas and comes with quite a few patterns you can use as templates. Once your template is drawn, simply copy it as many times as you need on some card stock paper. I then spray painted all my stars with gold and silver paint, mostly because I had spray paint left over. You can totally do it with plain old acrylic paint though. 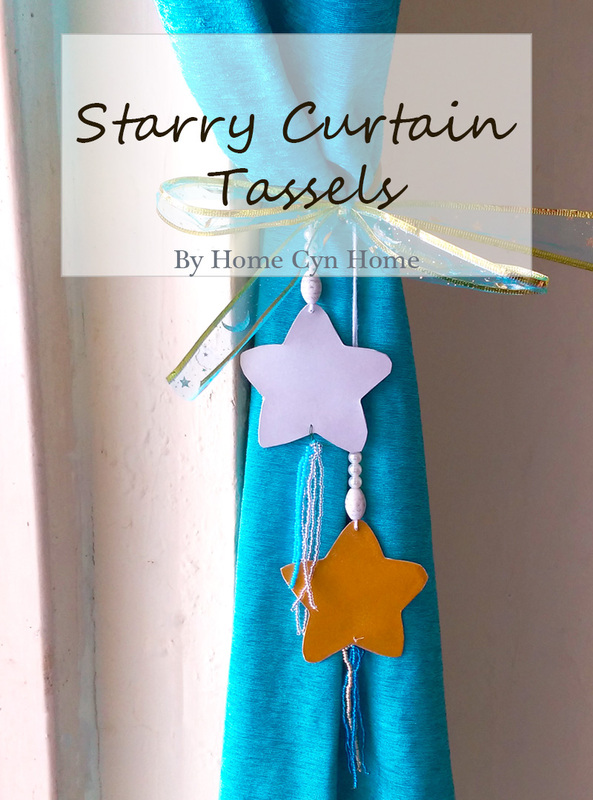 As you can see in the picture above, I did make some cute little tassels with glass beads to hang at the bottom of my stars. Not only does it looks pretty it also act as a weight to keep the stars from flying and twisting. I slid my curtain in a couple of old metallic bangles and tied them to a hook on the wall. Then, I took a length of white wool and tied it at the top of my stars. I added a few big beads to the string to prettify it and weight my "starry tassel" further down. Last but not least, I tied my two stars to the bangles and added a pretty gold and blue bow to finish the look. It may look like the type of decor one would do for Christmas, and if you are already planning that far ahead, by all mean save this idea. For me though, those cute stars are just a nice "in-between" decor idea since I usually go all "Red-white-green-and-gold" for the holidays. What a fab idea. The stars are so cute. 6 Steps to an awesome salad.